5 Jewelry tags - the perfect fancy tags to add in for dates, names, etc. 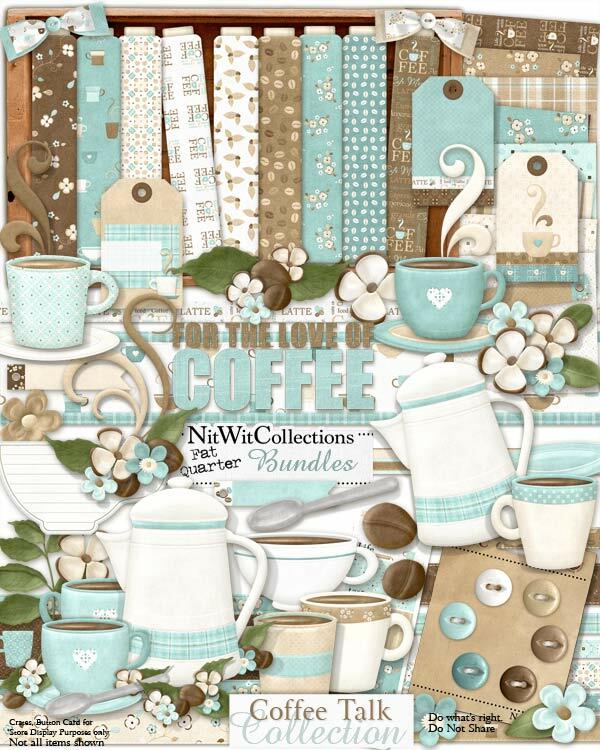 1 Journal label to write to your heart's content; and in the shape of ....what else, a coffee cup! 4 Saucers in different colour matched patterns - are you a matcher with your cup, or do you like to mix it up a bit? 1 Spoon - please don't lick it after your use....we may need to use it too! 1 Wordart - "For the Love of Coffee" - true words, don't ya think? ?